Sometimes, we want to see the data statistics from our database in the form of graph. There are lot of references about it in the internet. But, those references don't use the data from the database. We want seomthing dynamic, don't we? Because of that, please following the following tutorial. Create new database "graph" or any other names that you like. Here's how it works. 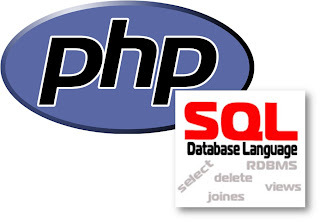 File "c.php" is the connection file which gives connection between the PHP and SQL database. File "graph.php" is the file where we'll generate graph. And file "index.php" adalah tambahan saja. File "index.php" calls the content from file "graph.php". The content inside index.php is actually only HTML syntax. All set? You can access "graph.php" or "index.php" to see what you've done.